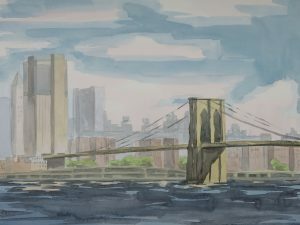 One day, while painting in Union Square, someone told me I ought to go to the Brooklyn Promenade and paint the view of Manhattan. I thought that would be good for the Growing Home Project – city sandwiched between water and sky, the natural and the man-made. 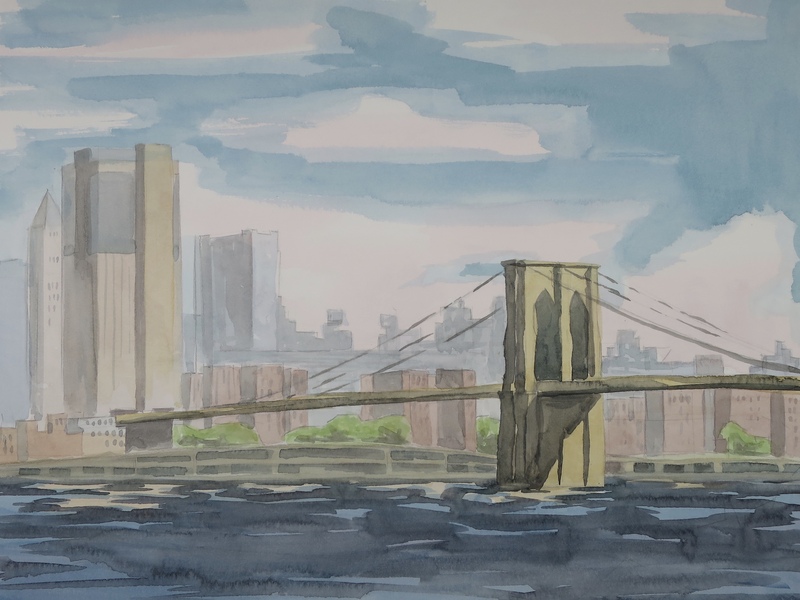 When I got there, it turned out that I got a great view of the Brooklyn bridge to boot!